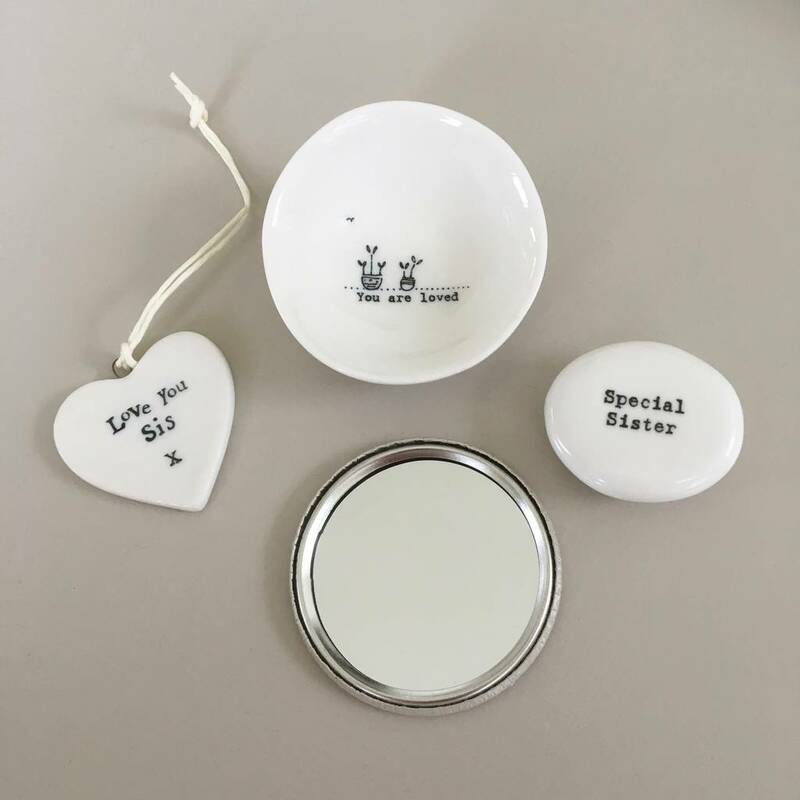 add a handmade special sister card add a handmade special sister card (required)Yes please add a handmade Special Sister card (+ £3.75)No card, thank you! add a handmade special sister card (required)Yes please add a handmade Special Sister card (+ $6.81)No card, thank you! add a handmade special sister card (required)Yes please add a handmade Special Sister card (+ €4.42)No card, thank you! 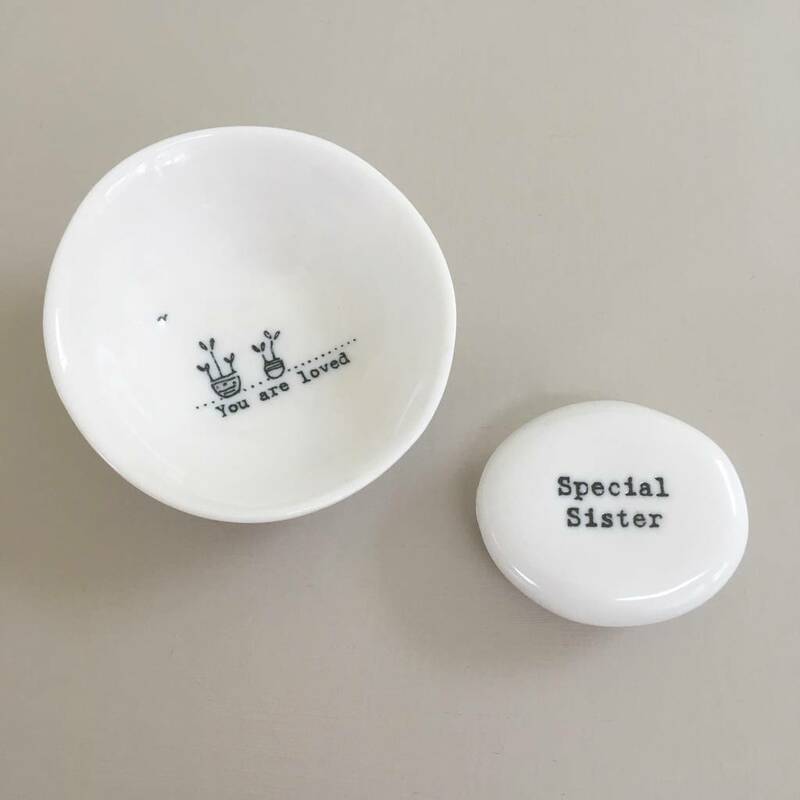 add a handmade special sister card (required)Yes please add a handmade Special Sister card (+ $5.44)No card, thank you! 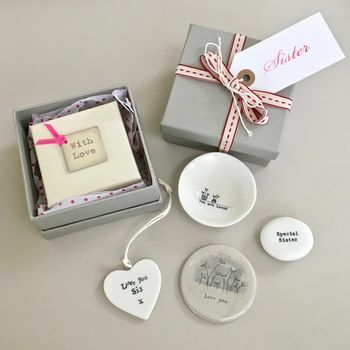 A stunning gift for your very special sister.. all gift boxed and ready to give! This filled gift box is the perfect present for your very special sister on her birthday. Don't like wrapping & don't know what to buy her - choose this lovely gift box packed full of 'goodies' for her to enjoy! 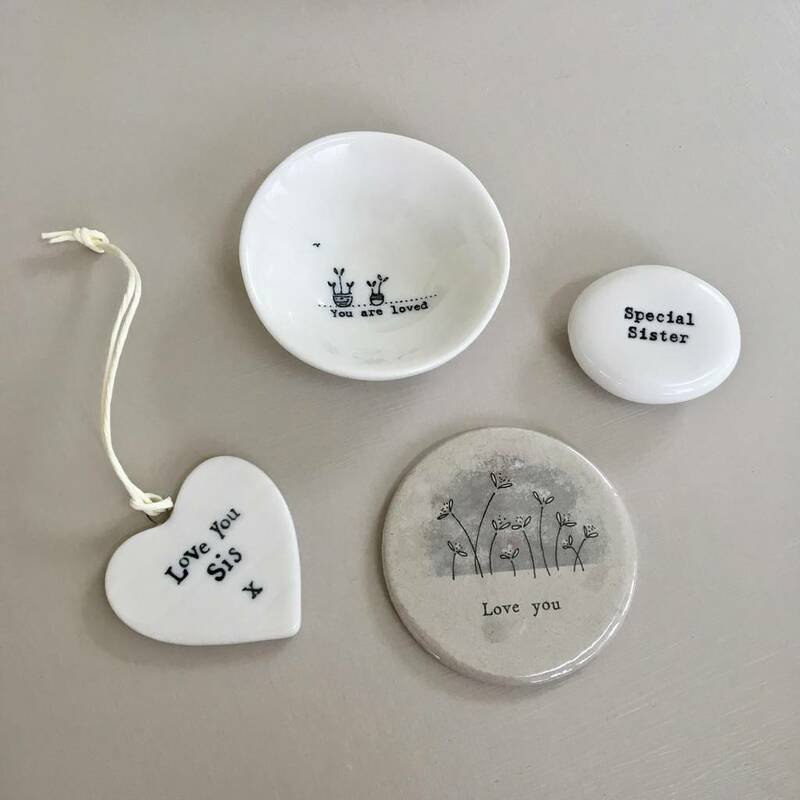 a 'Love you Sis ' porcelain hanging heart (4.4 x 4.5cm) all in tissue paper. 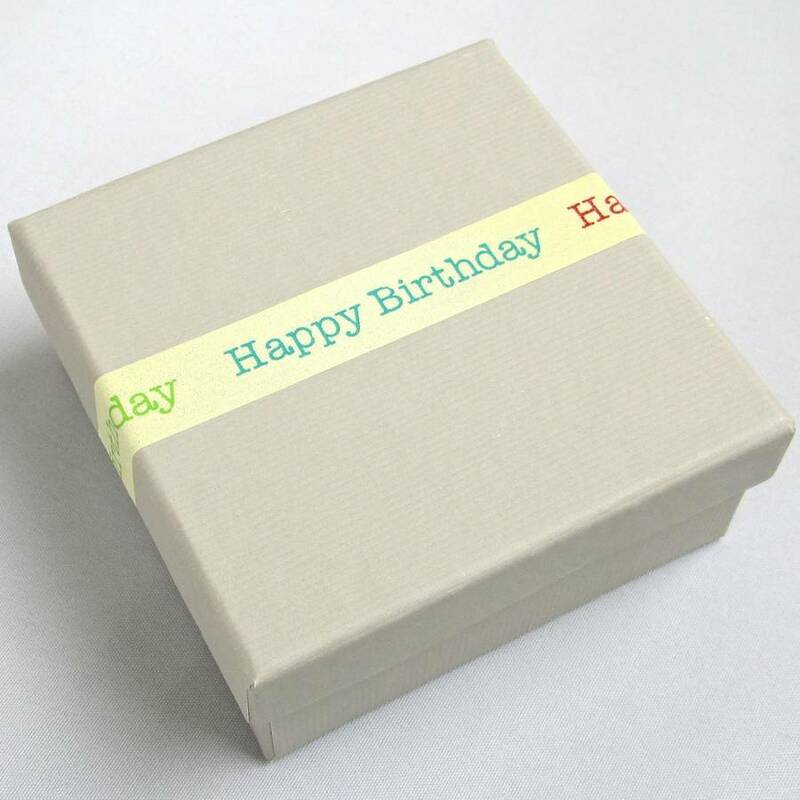 Your boxed set will arrive tied in a bow with lovely ribbon so simply choose the wording to add decorative tape to your gift box and the wording for your complimentary handmade gift tag from the drop down menu. 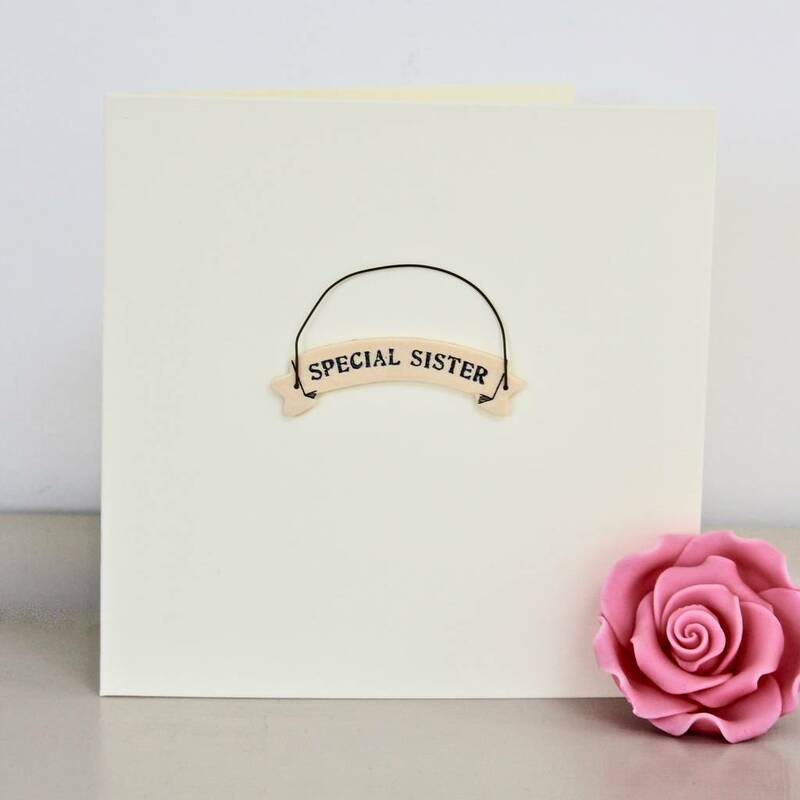 If you would like to add a handmade card saying Special Sister to complete your gift then please choose from the drop down menu. 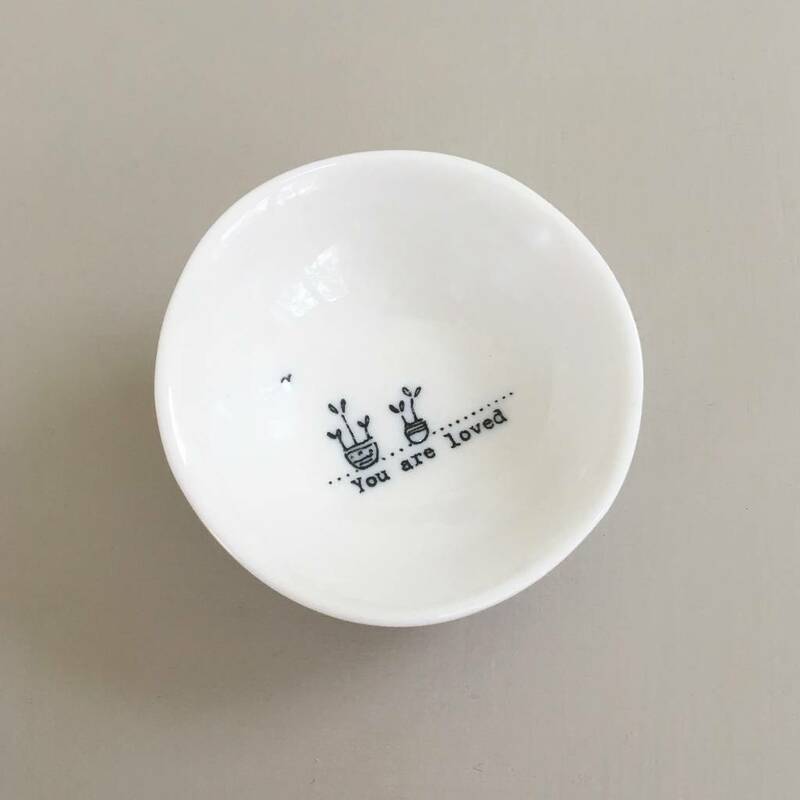 Gift box is made from sturdy card & contents are made of porcelain, metal & glass. The box is approx 9 x 9 x 4cm.